Jim Cornette Experience Recap w/ John Arezzi Pt. 2 - Introducing Russo to Wrestling, Bruno Sammartino's Popularity, Booking The Shiek, More! Jim Cornette Experience Recap w/ John Arezzi Pt. 2 – Introducing Russo to Wrestling, Bruno Sammartino’s Popularity, Booking The Shiek, More! Cornette welcomes John Arezzi back to the show for part 2 of their interview. At the conclusion of last week’s show, Arezzi informed Cornette that the long-standing President of Cornette’s Fan Club was the man who introduced Vince Russo to Arezzi many years ago. So in a weird way, Cornette is somewhat responsible for Vince Russo’s introduction into the wrestling business, and Cornette doesn’t take this news too well. Russo owned a video store years ago, and was interested in sponsoring Arezzi’s wrestling radio show because he wanted to begin bringing wrestlers into his store for signings and appearances. After talking together, Russo told Arezzi that he was interested in starting a wrestling newsletter. 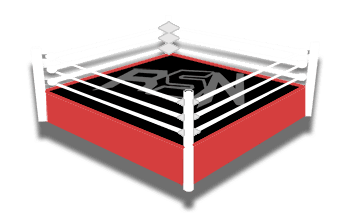 Russo weaselled his way onto Arezzi’s Wrestling Spotlight show, and on his newsletter he soon began listing himself as co-host of Arezzi’s radio show. This frustrated Arezzi, but Russo was helping fund the show at that time. Russo started talking business with WWE, guaranteeing that the radio show would be nice to WWE in return for their wrestlers’ participation on the show from time to time. Did Amazon’s Website Spoil Sunday’s WWE Fastlane Event?